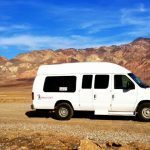 Explore outside the bright lights of Las Vegas on one of our experience based adventure tours. Enjoy and explore the destination rather than just sightseeing through a bus window. 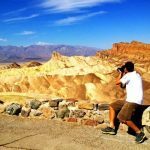 Tours include National Parks and protected State Parks and spend time hiking, exploring, photographing, and camping. 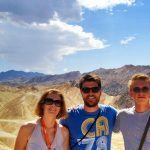 All tour guides are experts and will provide education and direction while creating a unique experience. We offer many different tour options to fit any budget or time constraints. Choose between our popular 1 day tours or for more adventure see our 2, 3, and 7 day adventures. Complementary transportation service. Tour guide to navigate you through Americas most beautiful parks. Opportunity to explore on your own. Camping equipment, if choosing a camping adventure. 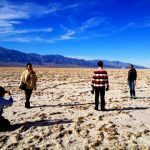 Perfect for a group who wants to explore the Las Vegas area and its surrounding parks. 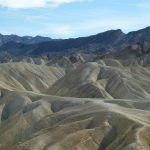 Visit one of the most unique landscapes on earth and learn the facts of this desolate terrain. Live guided commentary about the history of the area. Delicious packed lunch, beef, turkey, or vegetarian. 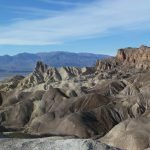 Depart Las Vegas and head straight out to the heart of Death Valley and take in the breathtaking views and stunning landscape. Learn the history of the area as your tour guide provides live guided commentary for the duration of the the tour. 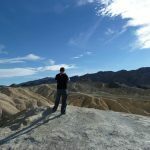 Take a picture by the World Famous welcome sign as you enter one of earths most desolate environments.The next stop on your tour is Dante’s View and Zabriskie Point. Stand 5,476 feet above the desert floor at Dante’s View for the best panoramic view point of the basin. 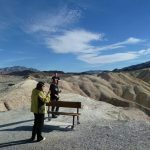 Then walk to Zabriskie Point and overlook the barren land where Furnace Creek Lake used to be over 5 million years ago. 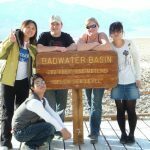 Then continue through Artist’s Pallet, a photographers paradise, to the World Famous Bad Water Basin which is the lowest point on Earth in the Western Hemisphere. Walk around and explore one of the earths most protected lands, and take a picture of the mountains that surround you which shows the actual point of sea level. 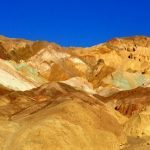 Stop at the Furnace Creek Visitor Center, Borax Museum and browse the Death Valley gift shop. Relax at the onsite restaurant and bar where you will enjoy lunch and refreshments as you take in the sights one last time from one of the centers several view points. 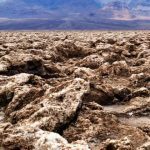 The last stop on the tour before heading back to Vegas is The Devils Golf Course that is one of the most photographed landscapes in the World. Tour of Utah and Arizona Parks including Zion, Bryce Canyon, Arches, Canyonlands, Monument Valley, Antelope Canyon, Horseshoe Bend, and the Grand Canyon. 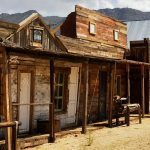 Visit the Ghost Towns of the Wild Wild West. 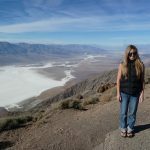 Visit the Hoover Dam, Chloride Ghost Town, Atman Ghost Town, and El Dorado. Tour departs Las Vegas at 8:00 AM on Saturdays and arrives back at approximately 6:00 PM. Your tour departs Las Vegas at 8:00am where you will drive out to the first stop on your tour the historic Hoover Dam Bridge. Next head to the historic mining town of Chloride located in Arizona. 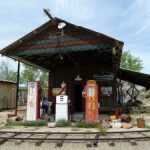 Chloride was a booming mining town during the 1860’s and after the boom Chloride almost became a ghost town. The current 250 residents that call Chloride home are proud of their mining background. Wonder the eclectic town and chat up the locals before enjoying a picnic lunch, choose between: Turkey, Beef, or Vegetarian Sandwich. 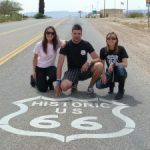 After a trip through mining history travel along side the iconic Route 66 to the ghost town of Oatman Arizona. 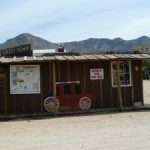 With a population of 150 and 1 poltergeist, Oatman will be sure to peak your imagination. 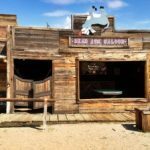 Walk the tumbleweed and burrow filled streets alongside modern-day cowboys and bandits. Take part in a real life shootout in the city square. After the excitement relax at the local saloon for a drink and enjoy the view of the Black Mountains. Continue through the Mojave Desert for the last stop on the tour in El Dorado Canyon. Learn the history of the famous movies that were filmed here. 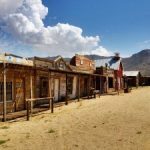 Take in the beautiful desert back drop and appreciate the almost lost history of Wild West America before returning to the glittering lights of the Las Vegas Strip. Spend the night in the Grand Canyon and visit the Hoover Dam, Route 66, and historic railroad town. Visit both Zion and Bryce National Parks on this in-depth walking tour.